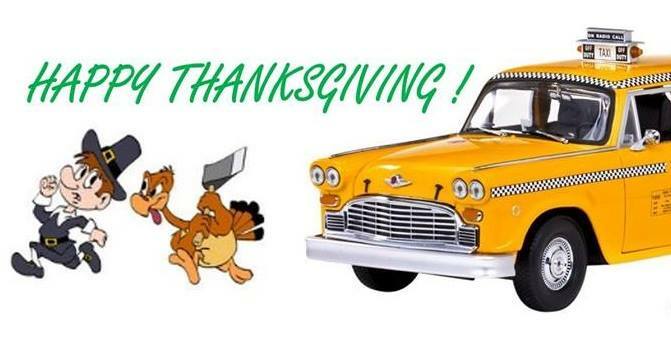 On the great American holiday Thanksgiving, I wanted to reach out to our Checker fans and friends and send a special “thank you” for making the last year a fun and fulfilling experience. A worldly club, while other claim to span the globe, the ICTA truly does span the world. 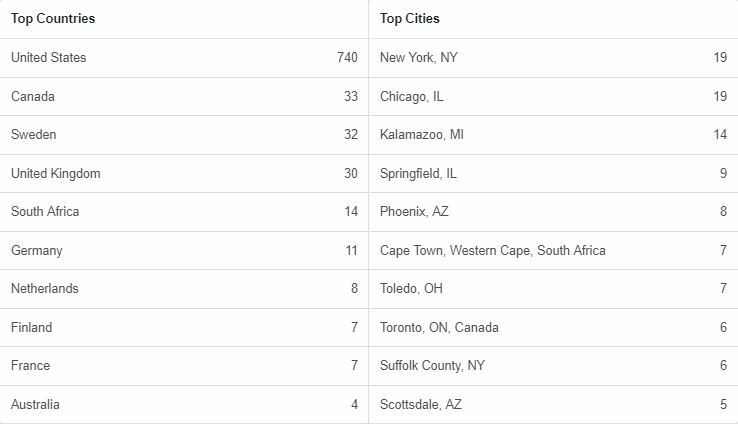 The fan base can be found in Kalamazoo, Chicago, New York, Finland and the UK. The demographics truly indicate the impact that the Checker had on the taxicab and orphan cab hobby. Our active members create thousands of Facebook reactions every month. What’s a Facebook reaction? Its a post, a comment or a “like”, all the main means of interaction on Facebook. I am so thankful for all the reactions, these impressions keep the dialog going. Thanks to all the people who stood by the ICTA and furthered the Checker dialog. We have lost some members over the last year, about 100 folks who for what ever reason, felt that there were better places to go to talk about Checkers. We welcome them to come back. If they come back they will see that we have over 550 active members in our group. These are the folks who talk turkey (pun intended) every day on Facebook. Again, thank you to the active posters. 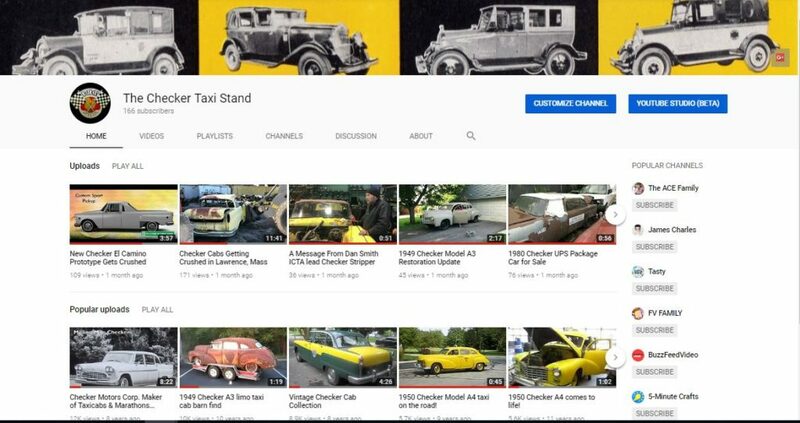 I am thankful that we continue to add content to the ICTA’s Checker Taxi Stand channel on YouTube. Specifically thanks to Connie Wilson Powers for sharing the many videos created by her father Steve Wilson and John Logan. The video channel has allowed Checker fans to experience Checker fun across the globe, over a span of time that covers twenty years of Checker events. The videos loaded on our channel have tens of thousands of YouTube views, the other clubs, no so much. Our channel has proven to be a great means of generating interest in Checkers. I am thankful for our ICTA blog. With just under 500 blogs created over the last three years, we have developed a vehicle to keep the club viable, interesting and more important relevant. 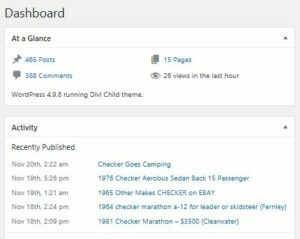 Our blogs are constantly being viewed and read by Checker fans. The dashboard below is just a sample. At mid-day on Thanksgiving at 12 PM, we had 26 views in the previous 60 miniutes. Again I am thankful, for this ICTA growth engine. Thank you to Dan Strohl and Hemmings Motor News. 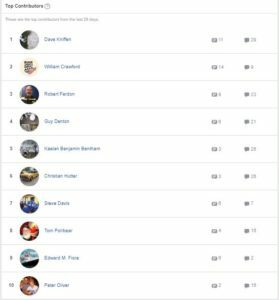 Dan has been instrumental in promoting the ICTA blogs on the Hemmings Motor News website. 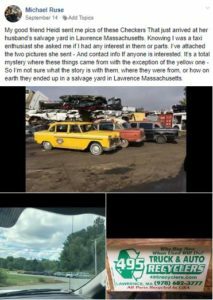 Everytime our blogs get posted in Hemmings, we expand our reach in the old car hobby field. 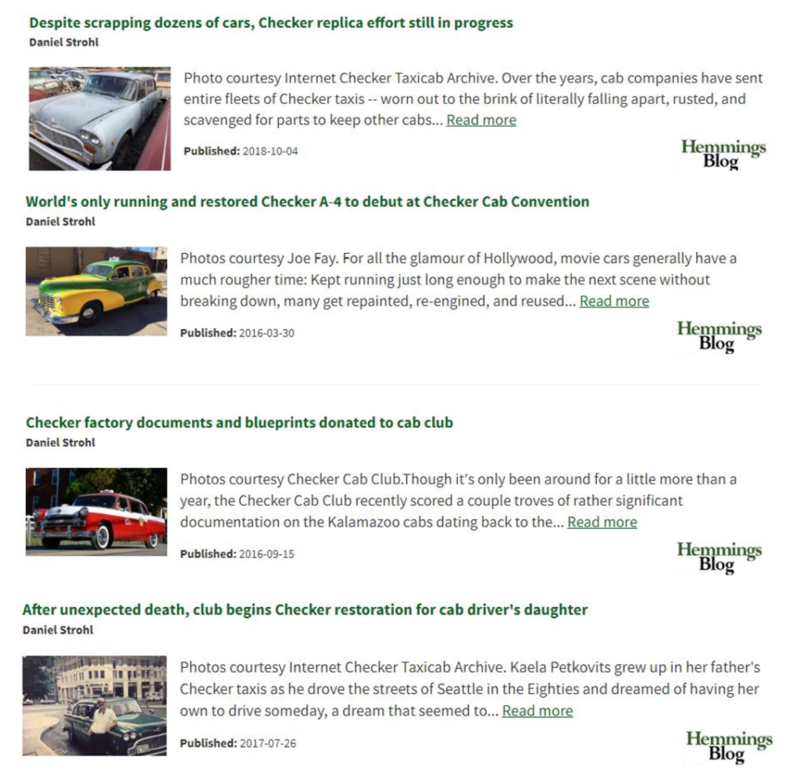 More importantly, everytime our blogs gets picked up by Hemmings, its an indicator that we are generating interesting and relevant content that will be appreciated by more than just Checker fans. 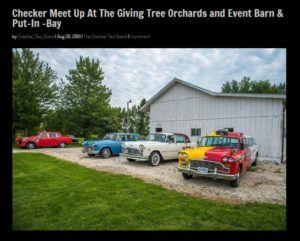 We’re impacting the entire old car hobby! Thanks to Dan and Hemmings. Thank you for to ICTA member Michael Ruse for alerting the group to the mass dumping of 40 Checkers in Lawrence, Mass. 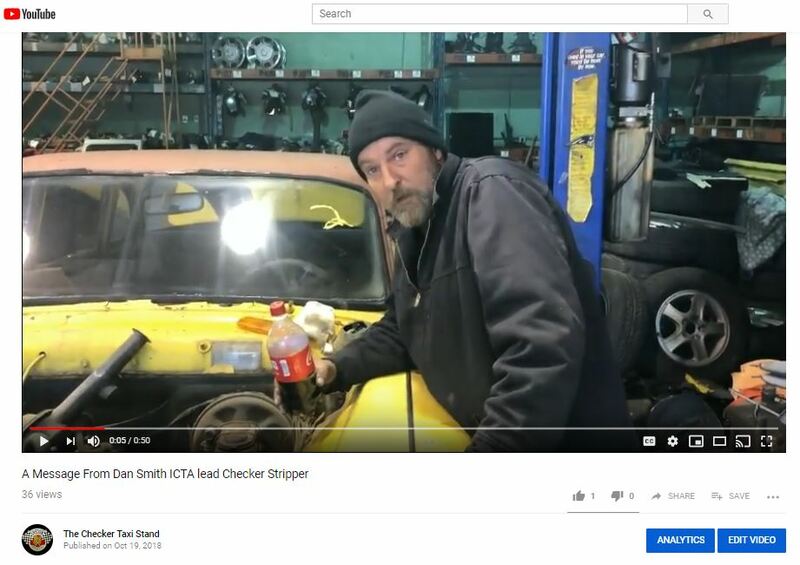 If it were not for this post, its highly likely Checker fans would have lost the opportunity to save and salvage many parts to help keep their Checkers on the roads. From this post, seven Checkers were saved from the crusher! Another five have been spared and are still available for sale. 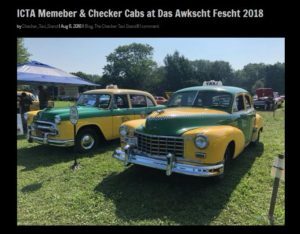 Thank you’s go out to Bruce and Marjorie Uhrich for setting up the meet at Das Awkscht Fescht. I have been attending this show since 1996, but this was the first time that I was able to bring my Checker to the event. Also thanks to Chris Hutter for introducing me to Musikfest, great music, beers and cigars! Thank you to Daivd and Connie Kniffen for setting up a great show this year in Put-In-Bay Ohio. The large national shows seem to be a thing of the past. Its just very difficult getting lots of Checkers in one place once a year. The future seems to be small regional shows. David and Connie took the challenge of setting up a great event, thank you. THANK YOU! Now its time to look forward to 2019 and focus on more changes, events and new features that will be added to the club. Again, thank you.